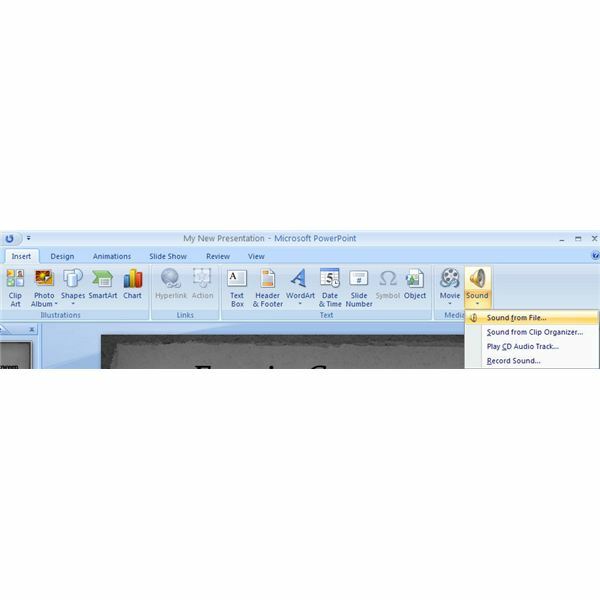 The easiest way to add music to a PowerPoint presentation is to use a sound clip or audio file that is stored in a fixed place on your hard drive or some other location. It’s also possible to play music in a presentation directly from a CD, but we will cover that option later in this series. For now, we’ll walk through the steps needed to add music from an audio file directly to your slide show. 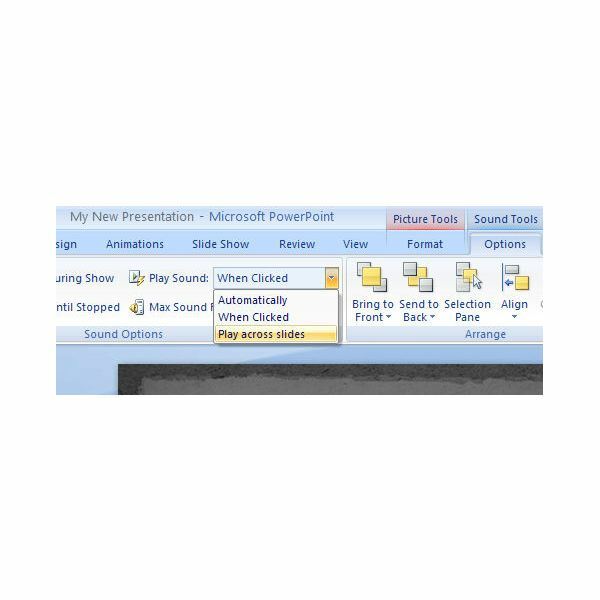 To begin, open your presentation in PowerPoint, and bring up the slide into which you want to add music. On the Insert tab, open up the Sound submenu and choose Sound from File. When the Insert Sound window appears, navigate to the folder that contains the song or sound clip that you wish to play. Select the file and click OK to continue. 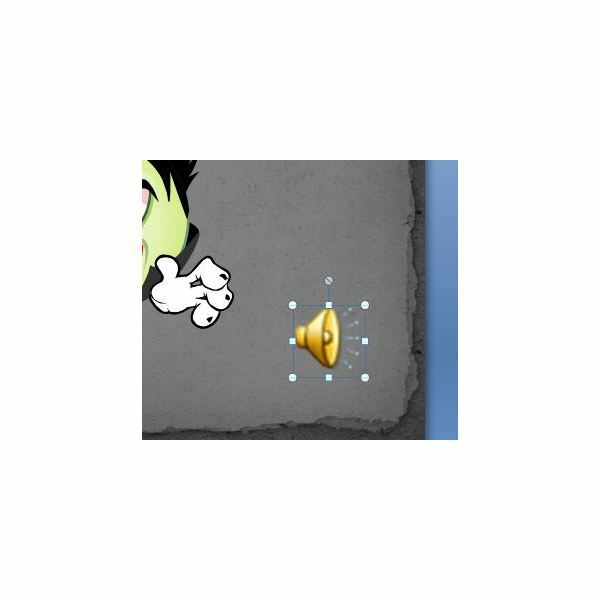 Next, a pop-up box will appear asking how you want the sound to start in the slide show. You will have two options: Automatically and When Clicked. If you choose the Automatically option, the music will begin to play as soon as the slide is displayed during your presentation. This can be a handy tool to apply to the first slide of your presentation if you would like a light instrumental piece to play quietly in the background during your entire slide show. Choosing the When Clicked option gives you more control over how and when your music or sound clip will be played. If you select this option, a sound icon will appear on the slide. You can resize this icon and drag it to any other position on the slide so that it doesn’t interfere with your layout. When giving your presentation, all you have to do is click on the icon, and the music will begin to play. If you want to test this while still designing your slide, click the Preview button. Normally, the music clip will end when you advance to the next slide, but there are times when you may want the audio file to continue playing through your presentation. To enable this ability, choose the Play across slides option from the Play Sound drop-down list. Making this selection will cause the music file to continue to play until it is complete, no matter how many slides you advance through in the meantime. If you’re interested in more tips and tricks, be sure to browse through the collection of PowerPoint user guides and tutorials found here on Bright Hub’s Windows Channel. New and updated items are added on a regular basis, so bookmark us and check back often. Adding music and videos to a slide show can definitely take your Microsoft PowerPoint presentations to the next level. In this series, we’ll take a closer look at how to incorporate music and embed videos into your presentation.